Obesity and overweight are major health concerns, as they can lead to many serious health problems. One of the most popular diets of recent decades is the Keto Diet. The goal of the diet is to put your body into a state where it is burning fat for energy. 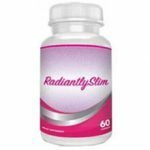 Radiantly Slim is a weight loss supplement for people who are following the Keto Diet. It helps your body get into a state of ketosis more quickly. Radiantly Slim is a weight-loss product based on the process of ketosis. This process occurs when you stop eating a high amount of carbohydrates, and your body starts burning fat for energy. This product helps you enter into ketosis more quickly, and it also has other weight loss properties. Who is the Manufacturer of Radiantly Slim? The manufacturer of this product is Radiantly Slim itself. This organization produces vitamins and dietary supplements, largely for weight loss purposes. The weight loss supplements are strongly linked to the Keto Diet and are designed for people who are following this diet. The goal of the product is to put your body into a state of ketosis, where it is burning fat instead of storing carbohydrates as sugar. Ingredients such as Raspberry Ketones help speed up this process, so your body starts burning fat as quickly as possible. Other ingredients have other weight loss properties, like Chitosan, which actually stops additional fat from developing. Radiantly Slim Ingredients – Are they Safe & Effective? One of the goals of the product is to helps people get into a state of ketosis faster. Raspberry Ketones is a key active ingredient because it helps speed up this process, so your body starts burning fat as quickly as possible. Another important ingredient is Chitosan, which actually stops additional fat from developing. Forskolin has the capacity to initiate weight loss by burning fat and making sure new fat does not develop. Green Tea Extract: There’s a substance in green tea called pigallocatechin gallate (EGCG) which speeds up the metabolism and initiates fat being burned in the body. Chitosan: Synthetic dietary fiber which prevents fat from forming, may lower amount of cholesterol in blood and actually lowers the number of calories in your meal if you take it before you eat. Garcinia Cambogia: Is an extract from the rind of an Asian fruit. The extract contains hydroxycitric acid, which is a substance which is known to be beneficial for weight loss. Raspberry Ketones:Are chemicals found in various fruits such as red raspberries, apples, and rhubarb. They are known to reduce the fat in the body. Forskolin: A plant extract with amazing weight loss properties, like the capacity to initiate weight loss by burning fat and making sure new fat does not develop. It also has the ability to accelerate metabolism, which may increase the speed of weight loss. It is also known to strengthen the muscles in the body and build them up. Bitter Orange: Most of the parts of this Asian tree are used for medicinal purposes. It has been associated with weight loss. It should never be combined with caffeine, as it can lead to high blood pressure or heart trouble. Glucomannan: Dietary fiber which is known to suppress appetite. It also keeps blood sugar and cholesterol levels down. What are the Advantages of Radiantly Slim? What are the Disadvantages of Radiantly Slim? How Should You Take Radiantly Slim? Each bottle contains 60 capsules. You should take two each day, at separate times, while you’re having a meal. Ideally take one in the morning with breakfast and the other in the evening, with supper. Make sure to drink plenty of water. How Much Does Radiantly Slim Cost? When you purchase Radiantly Slim from the manufacturer’s website they charge $69.99 for one bottle; $129.99 for a bundle of three bottles and $199.99 for five bottles. What is Radiantly Slim’s Return Policy? The company is offering a money-back guarantee to customers who are not satisfied with the results of the products. Customers must ask for a refund within 30 days of purchase by calling the toll-free customer service line. Customer service will provide a Return Merchandise Authorization Number. Then customers must send the unopened product to the company along with the refund Transaction ID, RMA number and Order ID. The refund will arrive 14-30 days after you send back the product. Does Radiantly Slim Offer a Free Trial? No, the product is not available for a free trial. The majority of manufacturers of diet supplements do offer a one-month free trial, so that is one downside of this particular product. There is a 30-day money-back guarantee, but as the product must be returned unopened it does not allow the customer to test out the product. Radiantly Slim Canada has developed this weight loss product based on the goal of putting your body into a state of ketosis, burning fat as fuel. Key ingredients like raspberry ketones are included to make the process go faster. Chitosan is included on the ingredient list, and it may actually prevent new fat from developing. One ingredient that could have been left off is Bitter Orange, as it can be problematic for people who have high blood pressure or heart problems, particularly along with caffeine. Another issue is the lack of free trial, which is always helpful if customers want to try the product before they purchase a bottle. Prior to beginning a course of treatment with this product, it is important to consult with a medical professional to decide if it’s right for you.